Do you have questions about mortgages or home equity loans? 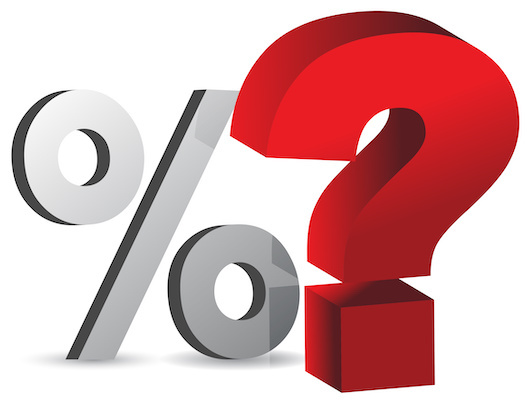 Have you thought about the difference between interest rate and APR? Mars Bank helps people better understand how banking and in some cases, how personal finance, works. We get many questions about mortgages, whether for a new home purchase or refinance. One question that comes up often is loan rate versus APR or annual percentage rate. APR is defined as the cost of obtaining credit. Often you’ll see a rate in an advertisement. This is the amount, represented by a percentage, of interest that you pay on the loan. The rate does not include other costs such as fees. The APR represents not only the rate of interest, but also certain fees and associated costs for acquiring the loan. This number is higher because it includes these additional costs, again represented as a percentage rate. When you see a low rate in an ad, check the details (all lenders must show the true cost – the APR – of a loan in advertisements). Often, a low rate is cited, but the APR is much higher. This occurs because more costs are being added into the loan. Costs that you, as the borrower, must pay either at closing or across the payments of the loan. Mars Bank ads feature APR only so you know the real cost and can compare with other offers. There are many programs to help first time homebuyers achieve the dream of home ownership. These include government guaranteed FHA loans. However, there are other options that may lower the cost of home ownership. You may not hear about all the options because some lenders focus on FHA loans. Another option that Mars Bank can access is First Front Door. It is a program specifically designed to help first time homebuyers with the costs of home ownership. First Front Door funds are open, but the funds are limited. Contact us to learn about that program and other options for first time homebuyers. Mars Bank is your one true community bank, focused on helping you reach your financial goals by providing the banking services you need. You can check current rates or start an application now. If you have a question, you can email us or contact a mortgage loan officer. Join Mars Bank for this FREE event, but seating is limited. Register Now! Click on the event location of your choice to register now or email us.